The Cause for Mary Aikenhead’s canonisation can hardly be described as rushed. It began some 50 years after after her death in 1858, when the Australian Congregation of the Sisters of Charity wrote to the Irish Sisters asking for the preliminary steps to be taken. The following years, Sydney’s Cardinal Moran wrote to the Irish Superior General undertaking to have the Cause introduced in Rome. A Postulator and a Vice-Postulator were appointed and the formal process began in 1911. Forward another 10 years and the introduction of the Cause of Mary Aikenhead was signed by Pope Benedict XVI. She was then declared a Servant of God. In 2015, Mary Aikenhead was declared Venerable – one step closer to sainthood. 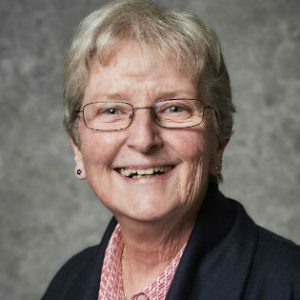 “The activity around the Cause comes in waves,” said Sr Elizabeth Dodds, who has been working with the Office of the Cause of Mary Aikenhead since around 2010 and is the Contact Sister for the Cause in Australia. The Sisters of Charity had been hoping at least for a Papal mention for the three Venerable Irish women who sent members of their Congregations to minister in Australia: Apart from Mary Aikenhead, there is Nano Nagle, foundress of the Sisters of the Presentation of the Blessed Virgin (declared Venerable in 2013) and Catherine McAuley, foundress of the Sisters of Mercy, Venerable since 1990. There was no mention of them at all, and that was disappointing. 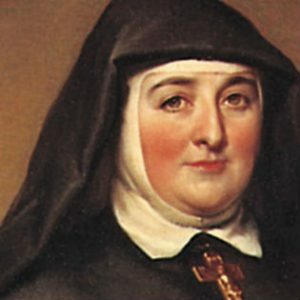 But… “Our Sisters already consider Mary Aikenhead a saint,” said Sr Elizabeth, who was a driving force behind The Mary Aikenhead Project. The key is the strategic vision of the Project. It reads: Our vision is to make the mission of God more widely known through the life, spirituality and charism of Mary Aikenhead and to keep alive her inspirational spirit throughout the world. The vision is going extremely well, Sr Elizabeth reports, as more and more RSC Companions share the love of Christ and of the poor, and disseminate Mary Aikenhead’s spirituality internationally. To work towards the establishment of different programmes within the Mary Aikenhead Project. The fifth of the five goals of the project is the process for the canonisation itself. From the bottom of a trough between waves, however, Sr Elizabeth will not speculate on when that might actually happen. And there is so much to do already with the first four.